It’s been a busy week for online-poker news activity in New Jersey, where two different story lines are working their way closer together. The endgame? The possible return of PokerStars to the United States… at least in the sense of establishing a toehold in New Jersey. New Jersey’s brick-and-mortar casino business has been in the dumps for years, and of course, something blowing along like Hurricane Sandy didn’t help. Perhaps recognizing a financial/political opportunity, PokerStars has entered what the Wall Street Journal has described as serious negotiations to purchase a small Atlantic City boardwalk property, the Atlantic Club Casino. Since the WSJ piece rests behind a paywall, we won’t give them any link love, but here’s a Reuters re-reporting that states that the negotiated purchase price between Stars and Atlantic Club owners Colony Capital LLC is somewhere less than $50 million. That’s miniscule for a casino property, but Atlantic City can use any investment money that wanders along. Not that buying a locals-market casino that caters to the working class is what Stars likely has in mind. 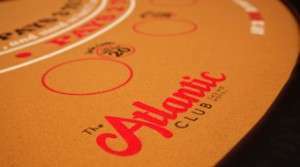 According to the Atlantic Club website, “We only have three table and slot limits at our casino: low, low & low. Here, you’ll be be able to play for hours – not minutes.” It’s a safe bet that Stars — which has also invested in casino properties in London and Macau in recent years — has more interest in the Atlantic Club as a point of US reentry than as an opportunity to scrape in a few retirees’ social security checks. This week also brought a renewed effort by New jersey state legislatures to move forward a bill that would authorize several forms of online gambling, including online poker. The recently reintroduced Assembly Bill A2578 has a long history, with two previous serious attempts already. The first one died in the NJ legislature after facing a threatened veto by Rep. Governor Chris Christie, while a second version made it to Christie’s desk, which he chose not to sign for political reasons — making it a technical veto rather than an actual one. Christie has stated that he might reconsider the online gambling bill after the recent election cycle passed; it has, and here’s the bill again. The Jersey legislature might even have the votes to override a possible Christie veto if he goes that route. The old version also made clear that the burden of proof was on the sites themselves to prove they hadn’t violated any statutes anywhere, a virtually impossible standard to meet. [A]s determined by the Division of Gaming Enforcement, the division shall consult with officials of the United States Department of Justice prior to making a recommendation to the Casino Control Commission regarding licensure of the applicant. Stars has admitted no wrongdoing in its settlement with the DOJ. Stars can also claim, as in a recent letter sent on behalf of Stars’ interests elsewhere, that the extra restrictions against overseas operators and or the imposition of an arbitrary date amount to denial of due process. And if Stars is already lobbying some of the New Jersey politicians involved in the latest A2578 push, they just might have a decent shot at a US reentry, sooner rather than later.